This is a must-read for any Gatsby enthusiast, English lit student, or lover of the Jazz Age. 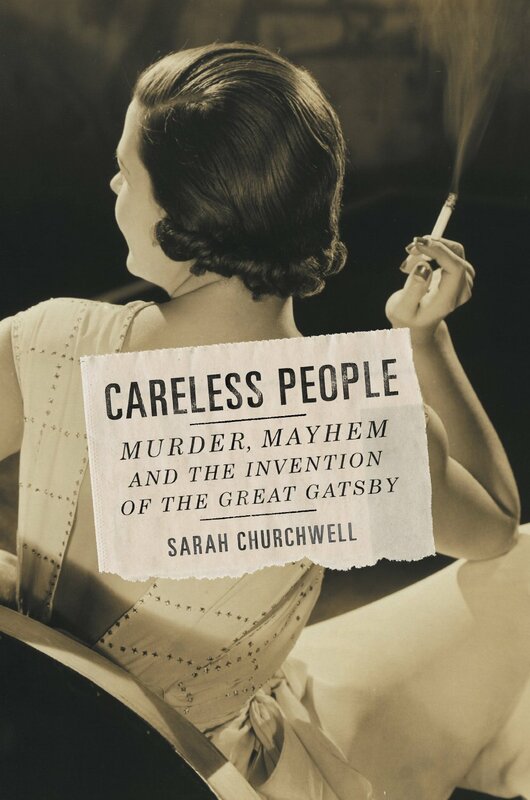 Churchwell carefully pieces together very specific events in the Fitzgeralds’ lives and relates them to Scott’s most famous work, The Great Gatsby. These are not wild hunches or bizarre theories. She draws from scrapbooks, newspaper clippings, letters from friends, and more to create a forensic timeline. Her main parallel is the murder of Reverend Hall and one Mrs. Mills, a member of the church choir. It was a story that lead the headlines for months and happened just as Fitzgerald was moving to Long Island and sketching out his ideas for Gatsby. The details were of course of Fitzgerald’s making, but it was the idea of senseless, domestic crime that caught his attention. As was often the case in this era of only the most rudimentary crime scene investigation teams, the strange scene was contaminated by curious onlookers. Gatsby fans will of course recognize the name Buccleuch in reference to Nick Carraway — a subtle but interesting reference for Fitzgerald to make. Much more intriguing is the connection Churchwell makes to Daisy’s green light. In 1922, motorcars were still a rather new contraption. New York City had only recently decided that traffic signals would be needed at intersections. The trouble was, there was no uniformity to the lights. Red could mean stop or go, depending on the area. Churchwell herself is clearly a fan of Gatsby, so readers should be aware that she will, at times, unabashedly praise the book and its author. At times, the structure of the narrative (going between Fitzgerald, Gatsby and the murder) is jarring. There were a couple of places where I wanted more on the topic at hand before switching gears. Overall, it is an insightful and enjoyable look at the 1920s and the writer who defined it.